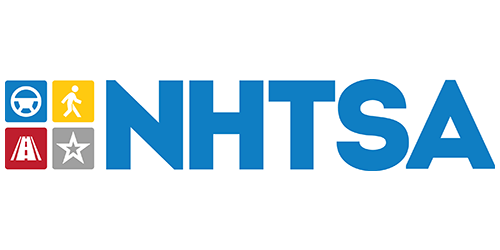 The National Highway Traffic Safety Administration (NHTSA) sits within the US Department of Transportation and is dedicated to achieving the highest standards of excellence in motor vehicle and highway safety. It works daily to help prevent crashes and their impact, both human and financial. In addition to partnering with the Global Road Safety Partnership on initiatives to reduce road related injury and fatalities around the world, NHTSA is responsible for reducing deaths, injuries and economic losses in the US resulting from motor vehicle crashes. 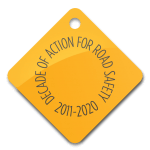 NHTSA achieve this by setting and enforcing safety performance standards for motor vehicles and motor vehicle equipment, and through grants to state and local governments to enable them to conduct effective local highway safety programs. The NHTSA also plays a critical role in vehicle safety standards and producing substantive research into road safety issues providing insight into road safety in the US contributing to global road safety knowledge. Our mission is to save lives, prevent injuries, and reduce economic costs due to road traffic, crashes, through education, research, safety standards, and enforcement. We are committed to providing the most accurate and complete information available to our customers, the American traveling public. Super Bowl XLVIII - February 2: Road Safety Alert!